Fire safety is a priority in the workplace … and it should be equally important on the home front. While almost 3/4 of Americans have an escape plan for their home, more than half never practice it. Are you and your family prepared? 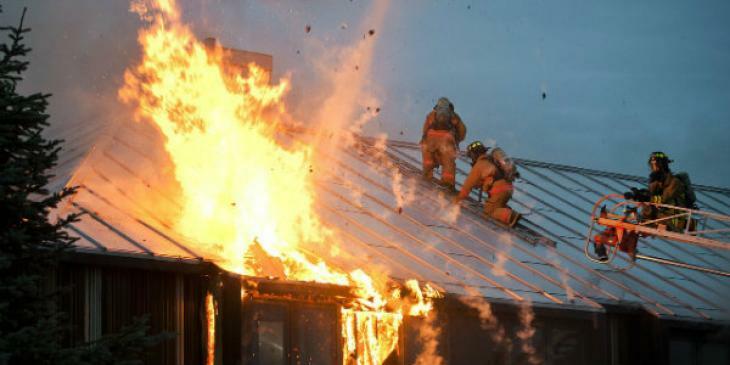 This Fire Safety in the Home tip sheet can help you plan for such emergencies. Safe cooking. Keep pot handles on the stove turned in so they can't catch on shirts or sweaters. Don't leave your cooking unattended for any period of time. 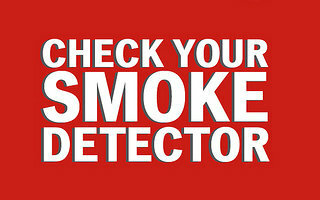 Use flat irons or hair dryers away from smoke alarms so the smoke or steam doesn't set off the alarm. During the holidays, don't decorate things like lamps. Do you have the necessary tools needed? Do you have a plan to keep these tools in working order? Smoke alarms and Portable Fire Extinguishers. Reports show that people have nearly a 50% better chance of surviving a fire if their home has the recommended number of smoke alarms. Know the age of your smoke alarm. If close to 10 years of age, replace it. That reduces the risk your alarm will fail to detect a fire. Have the right number of smoke alarms for your home. For new homes an alarm is required in each bedroom, one outside the bedroom area, and a minimum of one on each level of the home. For existing homes, the NFPA requires an alarm outside the bedroom area and then one on each level. DO NOT put alarms in places where smoke and dust abound. Test your alarms on a monthly basis and clean them on a regular basis to remove bugs and dust particles. Have at least one fire extinguisher on each level of the house. Sprinklers. Adding sprinklers to smoke alarms as part of your fire safety in the home increases your chances of surviving a fire by over 97%. Sprinklers save lives, save property and are affordable. The best thing to do is to treat each alarm as a real fire emergency. You don’t have time in a fire, so follow your plan to get out of your home safely. Parts of this content have been reproduced from NFPA’s Fire Prevention Week website. ©2013 NFPA. Additional Source: The National Association of State Fire Marshals. This blog was originally posted October 13, 2013, but has been updated with additional sources.